Celebrate important milestones with an honor gift and ecard! To preview the available ecard designs, simply click the images to enlarge them. Then complete the form below to send your free ecard. View the Celebration ecards gallery to send a different ecard. Questions? Contact our Membership Department at (415) 820-5800 or membership@savetheredwoods.org. For a mere $5 or more, you can give the gift of redwoods by making a donation in honor of your loved one. A lovely ecard will be sent to the honoree or the family of the person you are memorializing letting them know you've made this special gift. As a Save the Redwoods League member, you will receive our biannual League Bulletin, invitations to member-only receptions, and the satisfaction that comes from being a part of a community that helps safeguard one of America's most treasured natural icons. 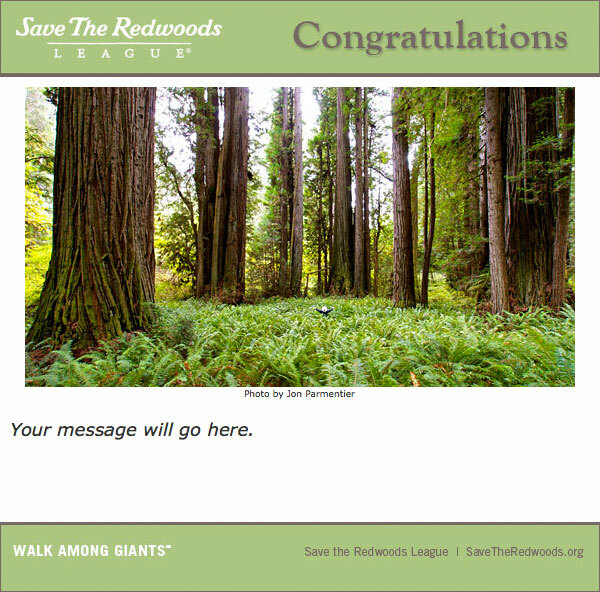 Your special honoree will receive a lovely redwoods ecard. 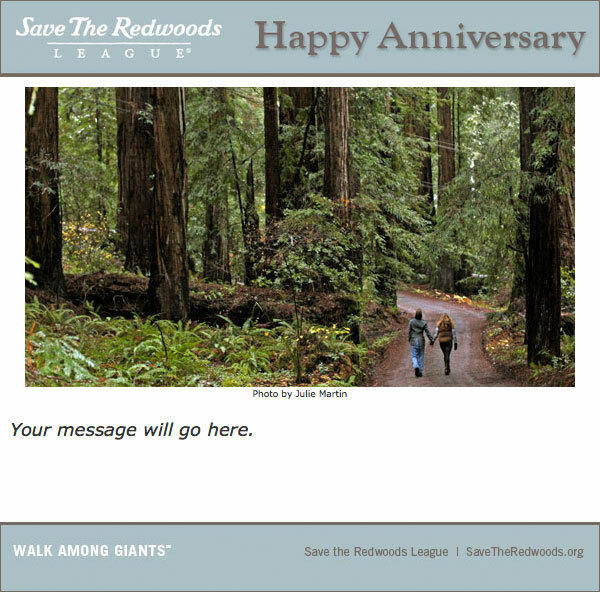 Honor your loved one with a $50 gift to the League and send a lovely redwoods ecard.